When we aren't at work designing and manufacturing functional solutions for human-powered adventure, we are most often found enjoying the wild places and adventurous lifestyle we love so much. It is precisely this that compels us to support organizations working for the preservation of and access to the wild world. We also feel a responsibility to support educational organizations that help our customers (and us) go safely, lightly, and competently into the adventure beyond. Each of the following organizations does great work and we encourage you to become a member of those that speak for you. Some are specific about the sports they represent while others have a broad reach across multiple adventure activities. One thing they have in common is the need for financial support. Please join us in contributing to their efforts. Access Fund — The Access Fund is the national advocacy organization that keeps U.S. climbing areas open and conserves the climbing environment. Founded in 1990, the Access Fund supports and represents over 1.6 million climbers nationwide in all forms of climbing: rock, ice, mountaineering, and bouldering. Outdoor Research and Access Fund have shared a partnership for over 15 years. Adirondack Mountain Club — Adirondack Mountain Club is dedicated to the protection and responsible recreational use of the New York State Forest Preserve, and other parks, wild lands, and waters vital to our members and chapters. The club, founded in 1922, is a member-directed organization committed to public service and stewardship. ADK employs a balanced approach to outdoor recreation, advocacy, environmental education, and natural resource conservation. Outdoor Research has partnered with the ADK for over 7 years, providing uniforms for in-field staff, the Summit Stewards, whose job it is to educate, and engage with, the public on some of the most visited public lands in the New York. Alpine Club of Canada — The Alpine Club of Canada is Canada's national mountaineering organization. Based in Canmore, Alberta, the A.C.C. has been a focal point for Canadian mountaineers since 1906. A key corporate partner in Canada, Outdoor Research has been a supporting member of the ACC for over a decade. Our support goes to the national office, but our impact reaches nation-wide, to the regional sections of the ACC. Volunteer leaders are given access to the CA Pro program and numerous consumer communication opportunities are extended to us via this partnership. American Alpine Club — Providing knowledge and inspiration, conservation, advocacy, and logistical support to the climbing community, the American Alpine Club is America’s premiere climbing organization. Outdoor Research furthers its 15-year relationship with the AAC through increased involvement at events like Craggin’ Classic and regional dinners. American Mountain Guide’s Association — The American Mountain Guide’s Association (AMGA) is the premier source for training, credentials, and services for professional mountain guides and climbing instructors in the United States. Outdoor Research and the AMGA have a strong partnership dating back over 12 years. As a brand that aligns itself with the guiding community, our support of the AMGA is critical to maintaining a strong relationship with the community they serve. Association of Canadian Mountain Guides — Education and mountain safety have always been important to Outdoor Research, and the guides of the Association of Canadian Mountain Guides provide both to the outdoor community. Mountain guiding is as old as the sport of mountaineering itself and it is a tradition we are proud to support. The sparks for many of Outdoor Research’s gear innovations have come from these hardworking professionals, with whom we’ve partnered with for over 10 years. Avalanche Canada — Avalanche Canada provides leadership, development, communication, coordination and delivery of public avalanche safety products and services through a collaborative, diverse and multilevel network. As a partner of over 10 years, Outdoor Research’s support helps maintain avalanche education and training in some of the most complex winter terrain in the world. Our in-kind product is used to support member drives and event support. Friends of the CAIC (FoCAIC) — CAIC is a partnership between the Department of Natural Resources (DNR), Department of Transportation (CDOT), and the Friends of the CAIC (FoCAIC), a 501c3 group. The mission of the CAIC is to provide avalanche information, education and promote Colorado-based avalanche research. 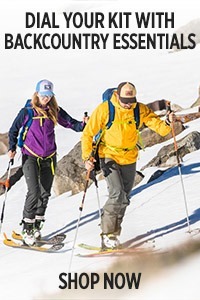 As a partner for the past five years, Outdoor Research’s financial support helps maintain the avalanche forecasting for all of Colorado, and our in-kind products are used to support member drives and benefit activities. Camber Outdoors — Camber Outdoors is dedicated to working toward more inclusive, innovative active-outdoor industries by promoting gender diversity in the workplace. Outdoor Research has been a supporter of Camber Outdoor (formerly the OIWC) for over 8 years, and in 2015 we joined 11 other organizations to help support the CEO Pledge, an initiative designed to attract and retain women in the workplace and leadership positions. The Conservation Alliance — The Conservation Alliance is a group of like-mind companies that disburses its collective annual membership dues to grassroots environmental organizations. We direct our funding to community-based campaigns to protect threatened wild habitat and outdoor recreation. 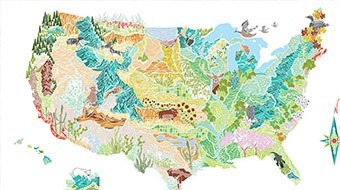 The Alliance was founded in 1989 by outdoor industry leaders REI, Patagonia, The North Face, and Kelty, who shared the goal of increasing outdoor industry support for conservation efforts. Friends of Jenny Lake Rangers — Friends of Jenny Lake Rangers increases public understanding, appreciation, and enjoyment of Grand Teton National Park and the surrounding public lands, through aid to the interpretive, educational and research programs of their partners. Since the Federal Budget sequestration of 2013, Outdoor Research has helped the climbing rangers of Grand Teton National Park stay outfitted to do incredible work, in extraordinary conditions. GTNP sees thousands of climbing visitors each year and when trouble knocks, these rangers answer. Friends of Pathways — Friends of Pathways supports a vibrant community by advocating the completion of a safe and sustainable pathways system for healthy recreation and transportation opportunities in Jackson Hole. For over half a decade, Outdoor Research has supported FoP, primarily focusing on the Winter Teton Pass Ambassador program. Our funding and support helps mitigate access and safety issues in one of the most used backcountry ski trailheads in the Western United States. Leave No Trace — We live by the adventures for which we make gear. Learning how to walk softly and be a good steward of the environment in which we play is critical, and the ethics taught by Leave No Trace can equip us all with the ability to diminish our footprint, enhance our experiences, and preserve wild places for future generations to enjoy. A partner for over 12 years, our cash funding goes to the Outdoor Research Master Educator’s Grants, funded exclusively by Outdoor Research’s pro deal donations. Northwest Avalanche Center — Winter backcountry enthusiasts of the northwest, Outdoor Research employees included, use the information provided by NWAC to be safer in avalanche country. The importance of this became painfully apparent to the Outdoor Research family in 2003 when our founder, Ron Gregg, was killed in an avalanche. In addition to supporting NWAC for over 15 years, Outdoor Research is proud to sponsor local events like Benefit Bash, Vertfest, and Snowball that helps maintain critical avalanche forecasting for the Cascade and Olympic mountains. Paradox Sports — Paradox Sports is revolutionizing lives through adaptive climbing opportunities that defy convention, and as a partner since 2010, Outdoor Research is proud to increase support and visibility for such an important cause. Through social promotions and annual giving, Outdoor Research makes it possible for Paradox to give 50 people with disabilities the opportunity to experience climbing, hiking, and camping in one of America’s iconic national parks. SheJumps — SheJumps is a national non-profit devoted and dedicated to increasing participation of girls and women in outdoor activities through free outdoor educational programming, events, and grassroots recreational gatherings. Outdoor Research supports the SheJumps education program through events that teach technical skills designed to help women become more self-sufficient in the outdoors and social outings centered around improving women’s outdoor proficiencies. Utah Avalanche Center — Utah Avalanche Center is a collaborative effort between the Forest Service Utah Avalanche Center and the Friends of the Utah Avalanche Center, whose mission is to keep people on top of the Greatest Snow on Earth™ by giving winter backcountry travelers the tools they need to stay alive and have fun in avalanche terrain. Washington Trails Association — Washington Trails Association (WTA) is the voice for hikers in Washington State. WTA protects hiking trails and wild lands, takes thousands of volunteers out to maintain trails, and promotes hiking as a healthy, fun way to explore Washington. 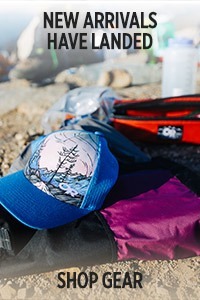 Outdoor Research has been a WTA partner for over 10 years, supporting events like the August Hike-A-Thon, the largest and most financially impactful event hosted by WTA. Winter Wildlands Alliance — Winter Wildlands Alliance is a national nonprofit organization promoting and preserving winter wildlands and human-powered snow sports experience on public lands. Outdoor Research has been a proud supporter of WWA for over 12 years, supporting large-scale issues like the Backcountry Film Festival, with over 80 tour stops across the U.S., as well as limiting snowmobile access in Yellowstone National Park. 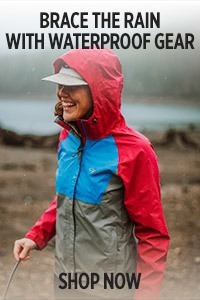 Women’s Wilderness — Colorado based non-profit Women’s Wilderness aims to strengthen confidence and leadership qualities of girls and women through support of group wilderness and community-based experiences. #SheAdventures — #SheAdventures is our dedication to empowering a community of outdoor women; to inspire dreaming big, overcoming challenges, and living an adventurous life, whatever that means to you. Our #SheAdventures scholarship program helps to give women the education, technical skills, and confidence to achieve big things. Since 2015, #SheAdventures has been bringing National Women’s Month into the outdoor industry spotlight with photos, stories, and an opportunity to win an epic trip with some of our fiercest female athletes. Celebrate with us by tagging your posts with #SheAdventures on Instagram. We choose a new winner every month to applaud the hard-charging moms, sisters, daughters, partners, and friends who inspire us to do more outdoors. We Can Grant — At Outdoor Research, we believe that small steps lead to meaningful impacts. And we believe that novel solutions come from the minds of inspired individuals. We want to help develop programs led by individuals working in their community to improve access to the outdoors within the lens of Land, Experience, and Community. The We Can Grant awards $10,000 annually to a non-profit for a project that will improve access to the outdoors in their community. Learn more about the We Can Grant and past year’s winners, and see if your non-profit is eligible for the next application cycle. Tragedy Assistance Program — The Tragedy Assistance Program for Survivors (TAPS) offers compassionate care to all those grieving the loss of a loved one who died while serving in our Armed Forces or as a result of his or her service. Since 1994, TAPS has provided comfort and hope 24/7 through a national peer support network and connection to grief resources, all at no cost to surviving families and loved ones. Homes For Our Troops — Homes For Our Troops (HFOT) builds and donates specially adapted custom homes nationwide for severely injured post – 9/11 Veterans, to enable them to rebuild their lives. Most of these Veterans have sustained injuries including multiple limb amputations, partial or full paralysis, and/or severe traumatic brain injury (TBI). These homes restore some of the freedom and independence our Veterans sacrificed while defending our country, and enable them to focus on their family, recovery, and rebuilding their lives. Since its inception in 2004, nearly 90 cents out of every dollar has gone directly to our program services for Veterans. HFOT builds these homes where the Veteran chooses to live, and continues its relationship with the Veterans after home delivery to assist them with rebuilding their lives. Special Operations Wounded Warriors — SOWW (Special Operations Wounded Warriors was formed in August of 2012 for the distinct purpose of providing outdoor experiences to a select group of both active duty and veteran U.S. Military Special Operations Forces, that have received wounds in battle, and that have received our Country’s prestigious Purple Heart Medal. SOWW was founded by a small group of five individuals comprised of U.S. Military Special Forces Veterans, local businessmen, and avid outdoorsman. SOWW was started for the intent of offering thanks and fellowship to the men and women of our Special Operation Forces who have sacrificed so greatly for our own personal freedoms and safety. Warrior Expeditions — In 1948, Earl Shaffer told a friend he was going to "walk off the war" to work out the sights, sounds, and losses of World War II. Four months later, Earl Shaffer became the first person to hike the entire length of the Appalachian Trail from Georgia to Maine. Following in Earl Shaffer’s footsteps and in recognizing the therapeutic effects of long distance outdoor expeditions, Warrior Expeditions created the Warrior Hike, Warrior Bike, and Warrior Paddle programs which are designed to help veterans transition from their wartime experiences.